Want to upgrade your PC storage or lesser game load times? A faster solid state drive is a better option without a doubt. That’s why, I have tested and compiled the list of best SSD for gaming including SATA and M.2 SSDs. Also, I have added a comprehensive buyer’s guide so that you only choose what’s the best. Let’s begin. Solid State Drives (SSD) are the new buzz in the gaming landscape. No matter if you are building a new PC or want to get more out of your current build, upgrading your mechanical hard drive to a faster Solid State Drive is definitely worth considering especially when you are a gamer! 4 Final Verdict – What is the Best SSD for Gaming? With better read-write speeds, an SSD can go up to 3 times faster than even the top gaming HDD. This results in much faster data transfer and significantly lesser game load times. And, if your motherboard has an M.2 NVMe slot, you can go even further. In fact, I was surprised to see the performance of an M.2 solid state drive when I used one for the first time a couple of months back. And, since then I have been planning to write a post for gamers like me and you. Actually, an M.2 SSD uses a PCIe x4 slot rather than a slower SATA III bus whose speed is capped at 600Mb/s. Wait, do all these technical terms like PCIe, M.2 NVMe etc. confuse you? Don’t worry, just keep reading and I will be explaining everything in detail. But before that, let us take a look at the list of 10 best SSD for gaming that can speed up your gaming PC to the next level! As we go the reviews of the best gaming SSDs, I would like to give a little disclaimer here. See, you need to understand that solid state drives are costly, in fact, some are very expensive. A good gaming SSD would cost somewhere around $100. So, even when I am talking about budget SSDs in this article, they will comparatively costlier than regular mechanical HDDs. With that said, rest assured that a good SSD for gaming will give you more value for your money. And, no matter which SSD you buy from the list, you will not regret it; that’s my assurance as a gamer! 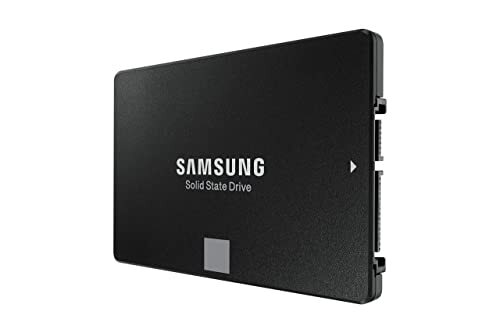 So, now let us begin with the in-depth of reviews of my best ssd drives for gaming in 2019. The Western Digital is the leader when it comes to the storage devices. 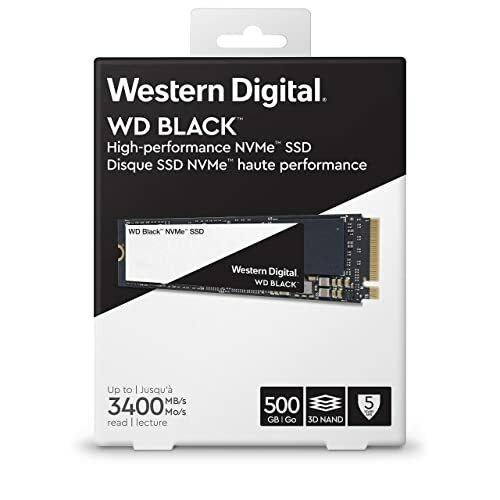 And, their WD Black NVMe SSD with 500GB storage and ultra-fast read-write speed essentially deserves the top place on my list of best SSD for gaming. This SSD uses the Western Digital’s 3D NAND technology to offer low latency and top-tier performance. Running on the PCIe Gen3 x4 M.2 interface, it offers sequential read/write speeds of up to 3400Mbps/2800Mbps (for 1TB variant). Yeah, that’s crazy fast! Such speeds can significantly lower the time taken by games to load. While testing, I tried a couple of levels of Half Life 2 (you know how long it takes to load next levels) and I could advance to the next level just within 4-5 seconds. So, if you also hate when all the action pauses and you have to wit at loading screens, just get yourself a WD Black NVMe solid state drive! There are three storage options available – 250GB, 500GB and 1TB; I recommend at least 500GB. Though 1TB variant is a bit faster, it also costs around 300 bucks while you can get a 500GB WD Black NVMe SSD at around half the price. SSDs tend to heat a lot that’s why some mobos have a separate heatsink for the same. With this WD solid state drive, you won’t have to worry about the overheating. It’s innovative power management and thermal throttling allows it to work at max workload without being overheated. Monitoring, Backups and Cloning are also made simple with the WD SSD Dashboard – a standalone software that helps you monitor drive’s performance, storage usage and create backups etc. Coming with 5 year manufacturer warranty and ultra-fast performance, the WD Black NVMe Solid State Drive is one the best SSDs for gaming PCs available in the market today! The Samsung 970 Pro gives a tough competition to the previous one in terms of data transfer rates. In fact, Samsung 970 Pro is the best ssd for gaming laptop. Actually, Samsung has used its latest V-NAND technology and the new Pheonix controller to push the limits of sequential read/write speeds of 3500Mbps/2700Mbps. This is made possible because of the faster Multi-Layer Cell (MLC) NAND which is not common in consumer SSDs as most manufacturers use Three-Layer Cell (TLC) flash to cut down the cost. I tested it with Overwatch and could see a significant difference in load times as compared to my previous Samsung Baracuda 1TB hard drive. As it is the fastest SSD, Samsung 970 Pro is also one of the most expensive ones. A 512GB variant can cost you around 200 dollars, therefore, it does not demand to masses but pro gamers still find it worthy. Most gamers complain about the shorter lifespan of solid-state drives which is true to some extent. But, the Samsung 970 Pro SSD has got you covered with 1200 TBW which means it can endure 1,200 terabytes of data written on to it. Another interesting thing about this gaming SSD is the heat management. The Phoenix controller is coated with nickel and there are heat spreaders to dissipate excessive heat more efficiently. It also uses Dynamic Thermal Gaurd that monitors and optimizes the temperatures to ensure no performance drops due to overheating. 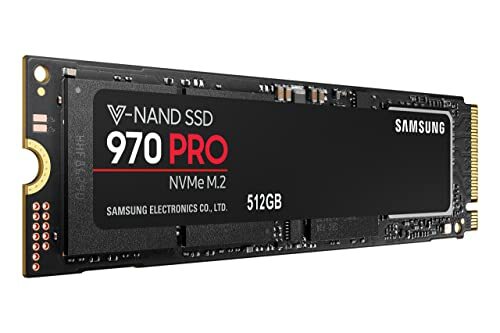 Samsung 970 Pro SSD is also compatible with the Samsung Magic Software that allows hassle-free monitoring and maintenance of your solid state drive. You can get regular firmware updates and keep an eye on drive’s health for unmatched performance. As you will be spending a hefty amount for it, Samsung provides 5-year warranty on this SSD. Overall, the Samsung 970 Pro is the fastest SSD for gaming you can buy now! Next up we have one from the Intel itself – the Intel 600P 512GB SSD. It’s a high-performance NVMe solid state drive that most gamers desire to have in their gaming PCs. Intel 600P SSD offers a 512GB space which is enough to install as many high-level games on your computer. Though, I would recommend adding another 512GB HDD for all other extra stuff. See, NVMe is one of the fastest memory interfaces and Intel 600P offers quite fast data transfer rates with sequential reads up to 1775 MBps which is almost three times faster than regular SATA SSD. Average SATA solid state drives can only go up to 600 Mbps. On our testing grounds, it could easily handle 4K quality videos streaming and also run all those favorite MMO games like a breeze! Before you go on to buy this amazing SSD, make sure your motherboard has an NVMe M.2 slot. Otherwise, you would need to use different connection interface and those won’t work at the speeds that I just mentioned. A little clarification here for those who think it will work as a replacement 2.5” SSD for the laptop, IT WON’T. I had it on my newly build i7 8700k PC and it gives the most bang for your bucks. Installation is much simple as an expansion but you might have to do some complicated procedures to get it work as a main boot drive. All those instructions are available on the product manual. You can also visit Intel’s website for more details on how to set up the solid state drive in different circumstances. Overall, Intel 600P SSD is the best gaming SSD in 512GB storage category. If your motherboard does not have an M.2 slot, then you would not be able to use any of the above three options. For such gamers, Micron brings the best SATA solid state drive – the Crucial MX500 – with the perfect balance of performance, reliability and affordability. 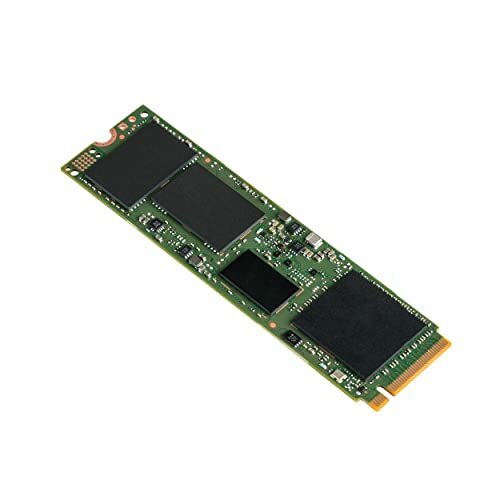 This solid-state drive is equipped with the next generation of Micron 3D NAND making the drive much faster with lowest possible power consumption. And, that is why it is able to achieve the maximum sequential read speed of 560Mbps and write speed of 510Mbps. I know that’s slower than the previous ones, but remember this uses SATA III interface with SLC flash memory and that’s the maximum speed it can operate. But wait, that’s still almost 5 times faster than a mechanical HDD. To test the speeds in the real world, I tried streaming my PUBG gaming session in 4K HD video and it was as smooth as you would want your twitch stream to be. I am definitely satisfied! Apart from the data transfer rates, the Crucial MX500 keeps your data safe; thanks to the Integrated Power Loss Immunity. It preserves all the unsaved data on the drive in case of unexpected power failure. So, you don’t have to worry about any game data loss whatsoever. Talking about capacity, you can choose different sizes beginning from 250GB up to max 2TB. I recommend using 500GB variant as it delivers good performance at an affordable price. If you’re looking to build new powerful gaming rig or upgrade your current gaming PC, Crucial MX500 is the best affordable gaming SSD. The next recommendation I have is the Toshiba OCZ RD400. With more flexibility of usage, price and speedy performance, this one stands a clear chance of winning over other expensive SSDs on this list. 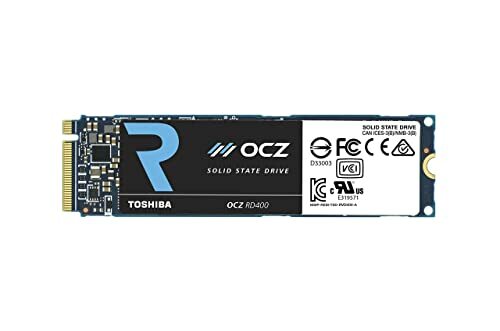 The Toshiba OCZ RD400 is an M.2 solid state drive which uses a faster NVMe interface than the old SATA III ports which is commonly used to connect basic SSDs and HHDs on your motherboard. The beauty of NVMe interface lies in the reduced latency in the I/O operations between the processor and the drive which benefits the user in terms of speeds. And, because of the same, this solid state drive is capable of blazing fast sequential read speed of 2600 Mbps. You can guess yourself how faster your games going to load with this. 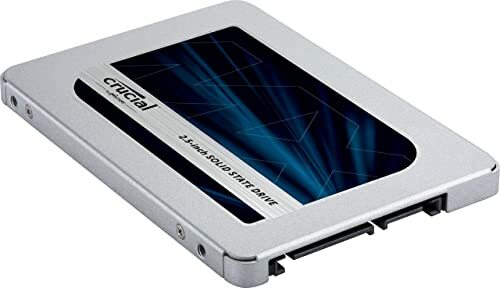 The chances of whether you can use this SSD or not depends on the availability of M.2 connection slot on your motherboard which is common in most modern gaming motherboards. In case you are stuck with an older motherboard with PCIe slot, Toshiba has got you covered too. This SSD comes with a PCIe adapter that allows you to use it without the M.2 slot. The service life of Toshiba OCZ RD400 is rated at 296TB total bytes written for the 512GB variant while it plunges to 592TB TBW if you opt for a 1TB model. Lower power consumption of 6.0W, flexibility with PCIe adapter and lesser price than the Samsung 970 series, makes it a best pcie ssd for gaming if you want to give a serious boost to your gaming and storage space. 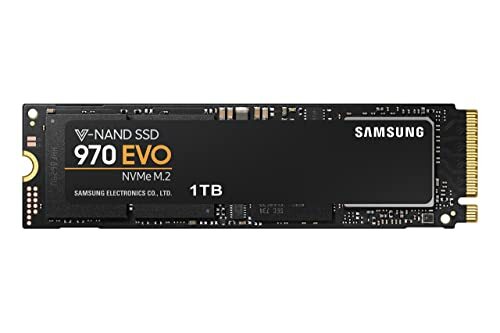 If you ignored the Samsung 970 Pro just because of the higher price, here is an affordable alternative to that – the Samsung 970 Evo – a premium SSD at a mid-range price. Just like other SSD series from the Samsung, the 970 series also comes in two variants – Pro and Evo. Both use the Samsung V-NAND technology but the main difference between these two is the type of flash memory used. The 970 Evo uses 3-bit TLC NAND while the Pro series uses 2-bit MLC NAND which is a marginal difference in the performance. As far as sequential read-write speeds are concerned, it is quite good reaching up to 3500Mbps which makes it perfect as a gaming SSD. The Random r/w speeds are also incredible. All that is made possible because the NVMe interface that reduces the latency as well as offers an enhanced bandwidth. So streaming games in 4K or playing MMO games will be a cake walk with this solid state drive. In fact, it is great for video content creators as well as 3D designers. This SSD is also power efficient so lesser heat is produced. And to avoid performance dip due to heating, there is Dynamic Thermal Gaurd which is also seen in 970 Pro. Samsung 970 Evo SSD comes with at least 12000 TBW life-span and a 5-year warranty. Overall, I would say that this is the best mid-range solid state drive available in the market. It is no surprise having a solid state drive from Sandisk on this list considering the quality storage devices manufactured by the company. The Sandisk Extreme Pro gets all your jobs done just the way you like them. 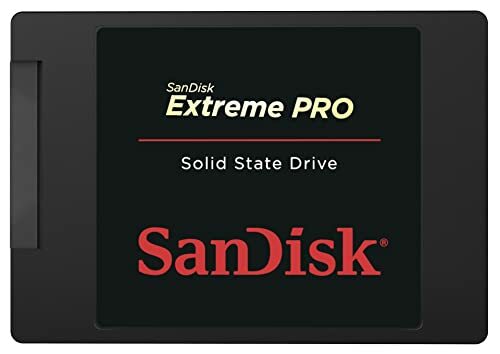 Released more than four years ago, Sandisk Extreme Pro SSD might seem to be an awkward mention as a high-end solid state drive. But, believe me, this is one of the mightiest SATA based solid state drive. Storage-wise, it’s very clear that you can’t go wrong with Sandisk. And, as far as the performance matters, Sandisk Extreme Pro has got good sequential read speeds up to 550Mbps. Though it’s not as fast as the M.2 SSDs, still it’s much faster than a regular mechanical hard drive. The best part about the Sandisk Extreme Pro is that you can just keep on shoving as much data as you want and it will still work on the flashing speeds. I know that’s just a SATA solid state drive but it has got all you need to boost your gaming on a motherboard lacking M.2 slot. If you are a Steam user, at least once, you must have encountered your system getting slowed down when Steam downloads updates in the background. Once you upgrade to Extreme Pro, you won’t have to face that again! Overall, the Sandisk Extreme Pro comes at an affordable price as well as good performance. And, that makes it one of the most reliable and best SATA SSD for heavy workloads. Years ago, the very first SSD that I bought was the Samsung 850 EVO and it was my favorite for years. But, Samsung went on to improve it with the Samsung 860 EVO – a blazing fast solid state drive at a budget-friendly price! The Samsung 860 Evo is powered by 64-layer vertical NAND technology to achieve sequential read speeds up to 550 MBps. The V-Nand architecture allows stacking flash cells vertically in three dimensions for greater density. We all know write speeds are generally lower than the read speeds. The Samsung 860 Evo SSD uses the Intelligent TurboWrite technology that delivers sequential write speed up to 520 MBps. And, thanks to the MJX SATA controller for such speeds. It also means your game downloads from Steam would be even faster. I generally recommend a 1 TB variant, but if you have enough budget you can go for 2TB model which uses a 2GB LPDDR4 DRAM for enhanced speeds and power efficiency. Just like its predecessor, the Samsung 860 Evo series keep up the expectations of the gamers still maintaining a price that does not hurt your pockets. Also, it is available in multiple form factors. So, apart from your desktop, you can also get it for your laptop as well. In my opinion, the 860 Evo is without a doubt the best SSD for anyone who hates to wait at loading screens and that too with 5-year limited warranty. 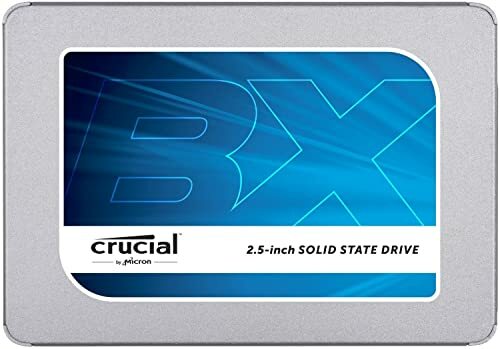 My next recommendation is a solid state drive for all purposes – the Crucial BX300 480GB. It serves to both gamers who want quick load times while being suitable for regular users who want their systems to boot rapidly. The Crucial BX300 coming with the storage capacity of the 480GB that means adding AAA games to this drive won’t be an issue. It uses the latest Micron 3D NAND technology delivering impressive 555 MBps sequential read speeds. The 3D NAND combined with Dynamic Write Acceleration technology, the sequential write speeds can go up to 510 MBps. Micron has innovated to improve the power consumption with the Extreme Energy Efficiency technology. It uses lesser power compared to a regular HDD which uses around 6.5 – 7W. That makes it almost 45 times more energy efficient and going to save a lot of battery if used with a laptop. Lesser energy consumption also results in reduces the heat produced while operation thus makes your PC build a bit cooler. The Crucial BX300 480GB has an endurance rating of 55TB total bytes written which equals 30Gb per day for 5 years. Overall, the Crucial BX3500 is an affordable and efficient 2.5” solid state drive for gamers as well as for regular users. Do you need a portable SSD to carry around your favorite games and other stuff? The Samsung T5 portable SSD is the best external ssd for gaming you can get for your money! This palm-sized solid state drive is a powerful beast in a tiny package. It is a common belief that external drive tends to be slower as they use USB interface instead of the faster SATA II or even M.2 NVMe interface. It doesn’t stand true but not in case of this SSD. The Samsung Portable SSD T5 uses the latest USB 3.1 interface for connection which is able to deliver read-write speeds up to 540Mbps. Despite not using the SATA III, this gaming SSD almost beats the SATA SDDs in the speed department. It comes with different storage volumes ranging from 250Gb up to 1TB. If you are following Glinkster for some time, you must remember that I have been using the 500GB variant of this SSD as an external hard drive for PS4. All my favorite games run like breeze with this SSD on my PS4 as well as my PC. While being compact, it is also durable with the metal outer cover which can handle drops from as high as 2 meters. Also, the USB interface makes it compatible with the widest range of Windows, MacOS and Android devices. 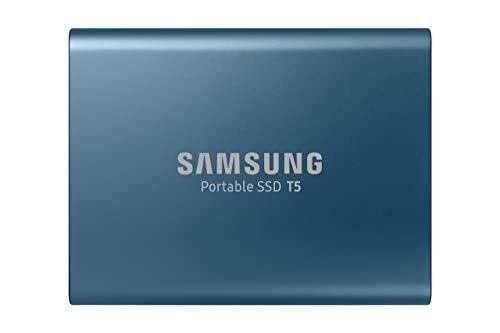 As I said earlier, the Samsung T5 solid state drive is the best portable SSD that money can buy in 2019. 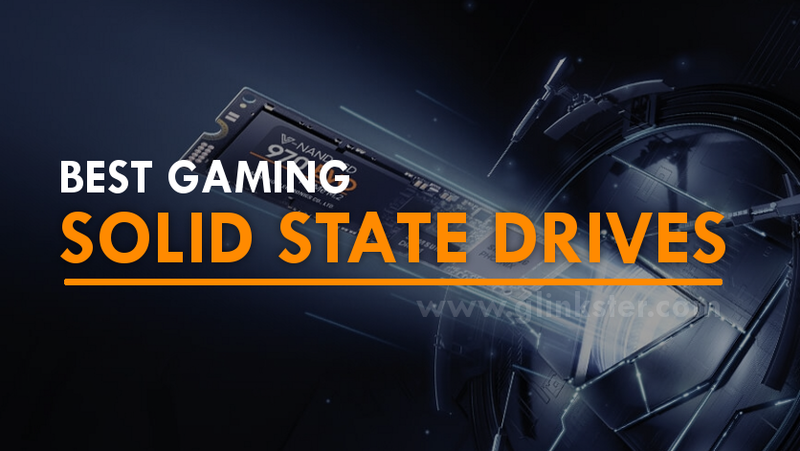 I am sure, if you haven’t yet used a solid state drive yet, you are so tempted to get your hands on these superfast drives that can improve your gaming experience to the top notch. But, wait if you are new to SSDs, then there are chances that you must be unaware of things that matter the most while making the choice of a solid state drive. Here I have briefly explained the main important things that you should before you buy an SSD for your gaming PC. Budget: All the advantages of a solid state drive kind of vanish in the face of money it costs. This is the real reason behind the fact that SSDs are still not being able to become the mainstream PC storage option. Because of all the cost involved, you need to find a good balance between the budget and the features you’re looking for. As far as I can see, you might have to be a little conservative with the read-write speeds unless you really need those blistering fast speeds in Gbps. And, of course, if money is no object for you, go with the best SSD for your gaming PC without looking at the price tag! Interface: If you have built a gaming PC before, you must be knowing that HDDs use the SATA III 6Gbps interface which is available on most of the modern gaming motherboards. When it comes to SSDs, things change a bit. For a regular SATA-based solid state drive, you can use a SATA III port on your mobo. But, for installing the faster M.2 solid state drives, your motherboard must have an M.2 NVMe slot other you can use it at all. So, you need to check what slots you have on your mobo and then buy an SSD accordingly. R/W Speeds: For gaming, nothing matter more than the read-write speeds of an SSD. Why? Because that’s what makes your games load faster and not stutter. The SATA SSDs offer somewhere around 500Mbps in real-world as the SATA III interface speed is generally capped at 600Mbps. This speed is enough for offline games and even for some mid-level online games too. To achieve seamless streaming and playing MMO games, the read-write speeds should be above 1000Mbps, to begin with. Most mid-range SSDs deliver speeds similar to that while high-end SSDs like Samsung 970 Pro can go up to 3000Mbps making your games run in a blink of an eye. Capacity: Lastly, the capacity or the storage volume plays an important role. Generally, 1TB storage is considered enough for a regular gamer but buying a 1TB SSD can leave with big holes in your pockets. So, that’s not recommended unless you have no issues. My suggestion is to buy a 250GB SSD or 500GB SSD to store your games while a separate 500GB HDD to dump all your media and other stuff. Is SSD necessary for Gaming? Does a Solid State Drive Improve Gaming? The second most common question that people ask is that whether an SSD actually makes a difference in gaming performance or it’s just a myth. See, technically it does reduce the game load times because of the faster data transfer rates. With an SSD, Your games will open faster, new levels or maps will load faster and save/load game will be quick. But, if you’re expecting a huge difference, then just an SSD upgrade won’t do it. Will an SSD improve FPS? No, it doesn’t. Commonly, people expect faster drives to deliver better frame rate but that’s not gonna happen. For better FPS, you need a better GPU and not an SSD. The GPU does all the graphics processing and the faster is does its job, the better will be the FPS. Though, an SSD can also eliminate ‘hitching’ which occurs with Intel’s Adam Lake causing interruptions as the game assets could be fetched as fast as possible. Who makes the best SSD? There are many brands that manufacture solid state drives, but, if I consider the quality and performance, Samsung makes the best SSDs. There 860 and 970 series of SSDs have been crowned as fastest and most high-end SSDs by many gamers around the world. Is SSD better than HDD? When it comes to PC storage, the hottest battle is between SSD vs HDD. In terms of performance, solid state drives are way better than HDDs but the storage volume per dollar is lesser for SSDs making them much costlier than mechanical hard drives. In the context of gaming, SSDs do have a slight edge even over the top gaming HDDs. Final Verdict – What is the Best SSD for Gaming? Our roundup of best solid state drive for gaming has come to the end. It took me hours of research and testing to deliver everything you would have been searching for the solid state drives and using them in gaming PCs. I believe it was all worth it if I was able to help you out in making your choice of gaming SSD. And, now, its time to give my personal recommendations from all the SSDs that I have tested for this post. For gamers who want a balance of performance and affordability, my recommendation is the Toshiba OCZ RD400 M.2 – the best overall SSD for gaming. If your motherboard doesn’t feature an M.2 slot, you must go with Crucial MX500 – the best SATA SSD. If money is not an issue, choose the Samsung 970 Pro – the best high-end gaming SSD. And, if you are looking for an external gaming SSD, nothing beats the Samsung T5 – the best portable SSD for gaming. If you find this article helpful, please share it with your gaming clan on social media. Have any doubts about SSDs or having any trouble with installation? Ask your questions in comments below. I will be more than happy to answer them. For more gaming product reviews and other gaming stuff, keep visiting Glinkster.